The Art of Letter Writing – The Clutter Blog | You ARE Your CLUTTER. Celebrate it! And chances are you will never know. Life carries on in all its twists and turns. You travel your road as best you can. Choices. Decisions. They carve your character. Yesterday I opened a thick file of old letters I received in the 1970’s. I knew I wanted to go slowly through these letters and enjoy them with a cup of hot ginger tea by the fire. People rarely write letters any more. We e-mail and text friends and family, and catch up on Facebook. But where is the written letter? I loved looking at the different hand writing of my friends. It actually would make a nifty collage, and I just might create one to hang in my new palace in Ganges, when I move. Here were letters from Olivia Crawford who danced with me in Vancouver BC in the 1970’s at Synergy Workshops – a wonderful dance studio run by Linda Rubin who had studied the Martha Graham technique of modern dance in NYC and was teaching us basic modern dance with improvisation. Olivia went to Papua New Guinea and founded the Papua New Guinea Dance Theatre Company. We have recently re-connected and our friendship is as alive and warm as it ever was. I will send her the letters. Here is a letter from Jane Allison Frick – about swimming with the humpback whales and the right whales in Argentina. It is a beautiful letter of grace and appreciation for the mysterious mammals who were being hunted to near extinction. I was teaching children about whales at the time and Jane sent me slides of her diving with the whales. Her hand writing is exquisite and tiny. I wracked my brain. Jane Frick. Who is she? How did we meet? Frick Museum in NYC…. Could she be from this family? I Googled her and discovered that she died in 1978 at the tender age of 32. I can’t describe how sad I felt. Then I Googled her family and discovered a sister lived in Maine, so I phoned and left a message saying how sad I was to learn of Jane’s death, and I have a lovely letter from her about swimming with the whales and would she like me to mail it to her? I had no idea if I would hear from her sister. The grief could be too painful, still. Adelaide phoned me this morning, in awe that I had a letter from her sister, whom she loved. We had an amazing conversation and I will send her Jane’s letter written 40 years ago. This is a real gift to all Jane’s siblings. So, three cheers for Clutter! I am grateful that I kept these letters for 40 years, and that I can return one that has poignant meaning to a family who lost a cherished sister. “You asked me what it felt like to be so close to a wild whale. There isn’t an experience I’ve had either under or above the water that comes close to the exhilaration I felt from swimming close to whales. The first time I saw wild whales was in the open ocean off Bermuda. They were migrating humpbacks. As they cruised under the boat I jumped overboard. Their tremendous grey shapes loomed beneath me (about 30 ft). I couldn’t see them very well as it was dusk, but they looked almost mystical with their big white angelic flippers hanging out. When they descended deeper I dove down to catch the last glimmer of their white flukes. It seemed incredible that they – air-breathing, warm blooded mammals knew where they were going and could communicate with each other over long distance in this vast ocean. I see you in my minds eye as the the tinker bell of flight – filling your life and others with who you are. You are blessed with your own joy, a true individual, in touch with nature, filled with the passion to create your own destiny. May this time be filled with delight and wonder as you navigate into this new beginning. Sending love and lighting a candle to your journey in celebration with this move. Holding you in a hug of transition. And the yacht from which Jane dove in to join the whales was christened “Rockfish”. I know because her sister Elise was my classmate and friend from 5th grade to graduation at school in New York. An unforgettable and magical afternoon at school was a presentation by their mother Jane Allison Coates Frick of the adventures of the “Frick Fish” children (all five of them, including Adelaide, knwown to us then as Tookey) as they swam and snorkelled among the sea life in the blue Bermuda waters. They were as graceful and wondrous and as at home in the sea as the marine creatures. Rest in peace, serene and lovely Jane. I was shocked and saddened to learn of your passing only today. 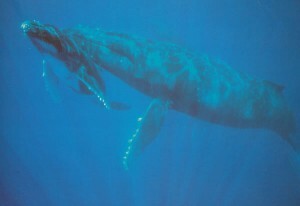 How touching that you knew the Frick “children” and that you found my story about Jane diving with the humpback whales. Thank you for writing on my website. Blessings to you, too. I continue to be passionate about whales and we do have the Orca swimming in our oceans in BC. Have you ever been on the West Coast?